Those two breeds currently count a few hundreds animals, bred by a few local agricoltural high schools that took the initiative to revive and preserve the original type since 1999. Fertilized eggs, chicks, pullets and breeders can be bought from Institute of Verzuolo (address: via IV Novembre, 30 - 12039 Verzuolo - CN; phone n. +39 017586226). The single comb is big and with 4-6 points, erect in the male and folded in the hen, the wattles are big and red, the earlobes are yellowish-white as well as the shanks and the skin. The tail is erect, slightly opened in the female. The chicks have yellow down. 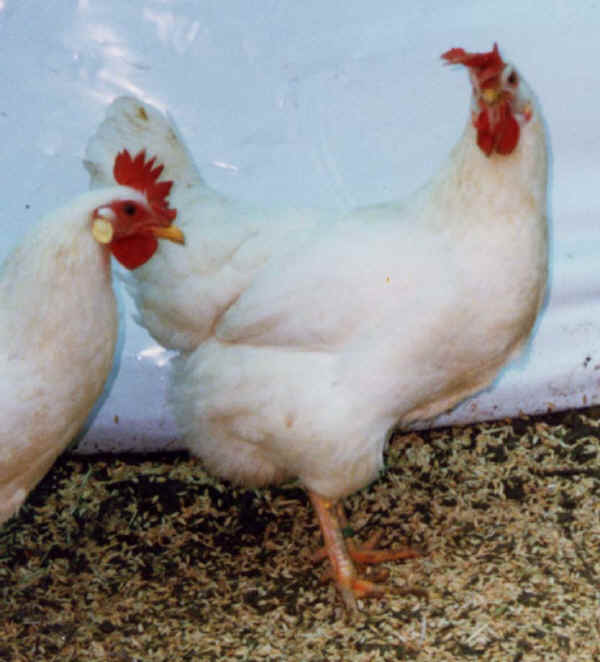 When pullets are slaughtered (22 weeks) the weight reaches 1.7-1.8 kg. Capons (30 weeks) weighs 3 kg.